David E P Dennis has been writing fiction since the age of five. Since then, his extensive life experiences and world travel have helped enrich his writing. In his early years David joined the RAF, where he worked in mountain rescue, qualified as a military accountant, supported military intelligence, and became an RAF officer. He went on to become a government inspector, chair a national charity which conducted brain research and is now a trustee of an environmental charity. Having published the novella The Crowland Project in 2015, Sci-scape and Memory is David’s first short story anthology, with another to be published later this year. He is also working on a non-fiction history book, with several more titles in the pipeline. 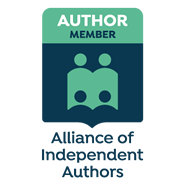 David is also a member of the Alliance of Independent Authors (ALLi).